Jürgen Klopp wants Liverpool to harness the ‘power of Anfield’ over the remainder of this season – continuing today against AFC Bournemouth. 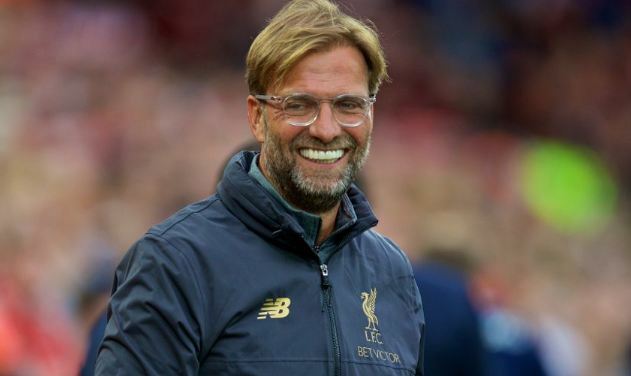 The manager believes the Reds’ home ground – where they are unbeaten since April 2017 – provides the team with a sizeable advantage over opponents. And with six league games to go at Anfield, and a minimum of one Champions League tie, Klopp has outlined the difference supporters can make. “It feels like too much was made about our last home game and I do not want to add too many words of my own, but I do want to address some of the false perceptions that were amplified on the outside about our supporters. “The most important thing always is that your support is never taken for granted. That is not allowed. “When some people were critical of the atmosphere against Leicester I was grateful that they filled the ground on a night when the weather wasn’t the best and stayed with the team until the very end. “This is why I come onto the pitch at the end of each game. It is wonderful if we can celebrate together but the main thing is that I show my appreciation for our supporters. If I could shake the hand of every one of them I would, but I don’t think the stadium can stay open long enough for me to do so for 50,000 people! “What I would say is that it makes total sense that we all do our best when we are at Anfield. Whether it is me as manager, the players – who, like me, are fortunate to represent this club – or those of you in the stands, we all know that the greatest moments come when we all pull together. That is how I understand Liverpool. That, I would argue, is the only way to understand Liverpool.